Like a football coach, you can use this playbook for quick reference to convey what’s needed to achieve effective TPM implementation. If for some reason you forget a "play", you can easily reference the playbook. You can follow page by page or go directly to a certain topic and use it to help you execute a particular "play." The book walks you through the process of creating action items and timelines to bring your equipment up to a standard that will be the starting point for TPM. 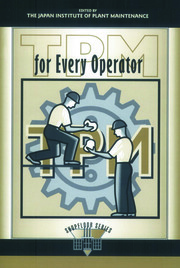 It describes how to establish the requirements for operators in the newly established TPM program as well as how to create and use Visual TPM boards to communicate machine status. 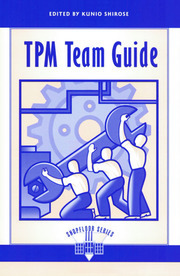 This playbook includes detailed examples, color pictures, and 3D models of actual TPM implementations. 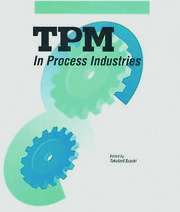 In addition, a combination of short paragraphs and bulleted points walks you through the process of establishing a comprehensive TPM program. Chris A. Ortiz is the founder and president of Kaizen Assembly, a Lean manufacturing training and implementation firm in Bellingham, Washington. Chris has been featured on Inside Business (http://www.youtube.com/watch?v=LMm3fVsbPtM) with Fred Thompson on CNN Headline News. He is the author of five books on Lean manufacturing, (see list below). Chris has been featured in dozens of publications including Assembly Magazine, Industrial Engineer, Industrial Management, Metal Finishes, Plant Engineer, Auto Body News, and Collision Repair Magazine. Kaizen Assembly’s clients include industry leaders in aerospace, composites, processing industries, automotive, rope manufacturing, restoration equipment, food processing, and fish processing. Mr. Ortiz has been trained by the John Costanza Institute of Technology in "Demand Flow Technology" and by the Georgia Institute of Technology for ISO 9001 : 2000 Internal Quality Auditing. He is also a member of the Institute of Industrial Engineers and the Society of Manufacturing Engineers. He is the creator of the LEAN Marketplace (www.learnmarketplace.com). 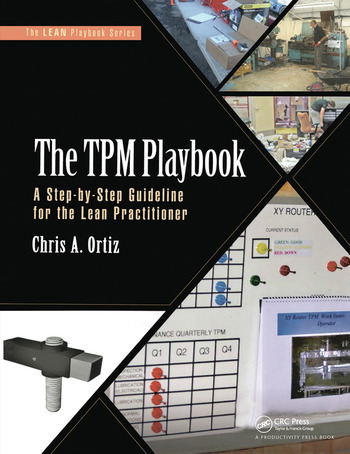 Chris Ortiz is considered to be an expert in the field in lean manufacturing implementation.